Another small figure. 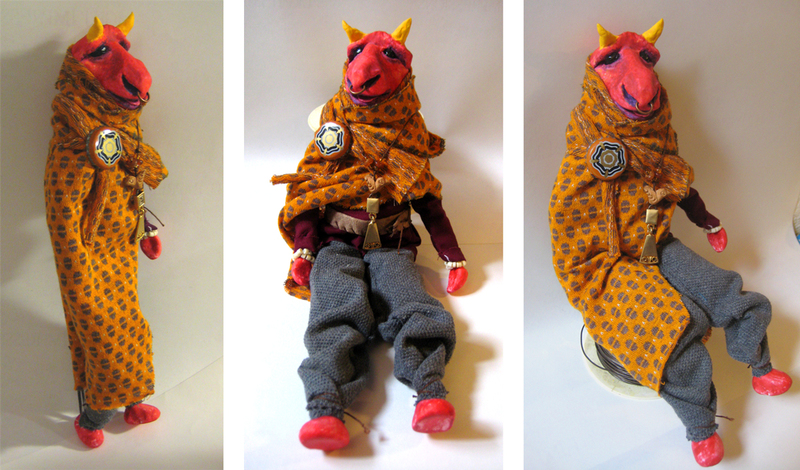 This one ended up looking at lot like this little bull puppet that I had as a kid. I imagined this one (and the blue cat-thing) as being kind future-fantasy-world-Dune-ish desert dwellers. The wrap was a happy accident -- a scrap that fit perfectly.